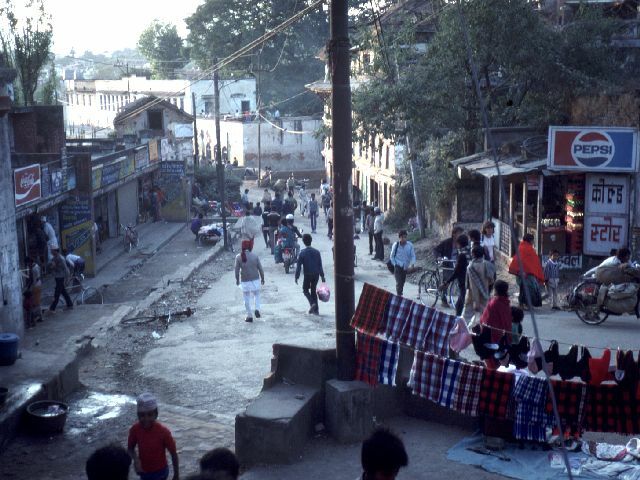 I would walk four miles every morning through the heart of Kathmandu from the Gauchan’s house to my lessons at Raj’s. I loved every second of this walk. While my nostalgia for many of the experiences and people of my earlier life has lessened, sauntering the streets of Kathmandu brings back incredible memories. Adventure travel writers are smug in condemning Nepal – and Kathmandu in particular – as somehow ruined by all the tourism. I disagree entirely. Just walk ten minutes outside of the usual tourist hotel and shop route and the scene immediately becomes exotic.